Competition and non-performing loans are likely to force weak lenders to merge with larger ones. 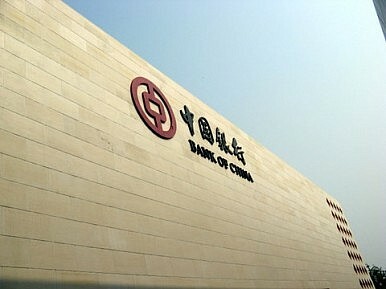 On August 10, the People's Bank of China announced Chinese banks made $84.9 billion worth of loans in July 2012. This was up 16% year-on-year, but well below $108.5 billion projections. Given this relatively sluggish loan growth, the government is likely to allow banks greater flexibility to set deposit and lending rates, aiming to stimulate economic growth. In June, the government allowed banks to set deposit rates at 1.1 times the benchmark rate, previously the maximum permitted. Banks also were allowed to grant loans at 0.8 times the benchmark if they supported government policy initiatives. These adjustments are likely to be initial steps in an extended, gradual process to remove deposit rate ceilings and lending rate floors. Previously these prevented serious competition between banks and ensured net interest margins of around 3% on all loans. This margin was the source of about 80% of bank profits. Given banks' dependency on this income, the government is likely to adjust guidelines as needed to stimulate growth, temporarily reducing allowed variance from benchmark rates if banks face problems. This caution, combined with the record profitability of banks in recent years and substantial government bailout capacity, makes bank crashes caused by interest rate liberalization unlikely. Banks will face increased competition and narrower profit margins at a time when their profits are being undercut by rising non-performing loans (NPLs). Smaller, sub-provincial, banks are almost certain to be most affected, with some particularly weak lenders potentially forced to merge with larger banks. This consolidation is likely to strengthen the banking system overall, as smaller lenders tend to be weaker and under significant local government pressure to extend politically-driven loans that are unlikely to be repaid. The government is pursuing these reforms for several reasons. With real interest rates on deposits negative on average since 2003, many individuals invest their savings in property or, to a lesser extent, new wealth management products instead. Given rising NPLs resulting from 2009 stimulus measures the government needs to make deposits more attractive in order to generate funds for banks. Further, cheaper corporate loans help growth, and reduced interest rates mitigate one driver of NPLs. In the five-year plus outlook, the government is also likely seeking to develop more disciplined processes for banks to allocate capital effectively, thereby reducing NPLs. Finally, the government wants to expand the operations of Chinese banks in the international market, and needs to reform them further to support this goal. Rachel Shoemaker is Regional Manager Asia Pacific at Exclusive Analysis, based in Singapore. She specializes in business risks in China, infrastructure in Southeast Asia, regional trade and project finance, and energy frontier markets, in particular Myanmar, Mongolia, and Papua New Guinea. The future of China is being built not in the capital, but in dynamic southern cities like Guangzhou and Shenzhen.